A Great Horned Owl baby I spotted in some Cottonwood trees with a sibling and the mother / father. 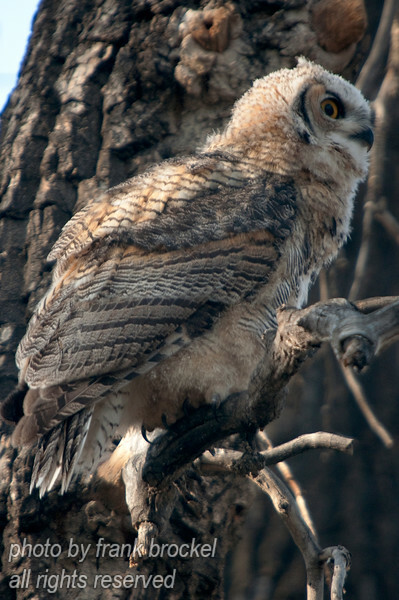 The Great Horned Owl, Bubo virginianus, also known as the Tiger Owl, is a large owl native to the Americas. It is an adaptable bird with a vast range and is the most widely distributed true owl in the Americas.